Most of the time, cars, bikes and motorcycles manage to go about their business in a safe manner. There is an uneasy relationship between many automobile drivers and riders. Too many cars seem to act with indifference or even hostility towards the bikes and motorcycles they encounter. When car drivers fail to properly account for every vehicle on the road, the results can be tragic. 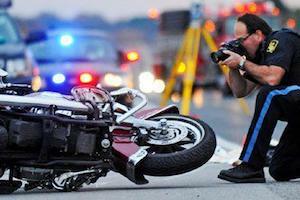 Were You Hit by a Car While Riding Your Bike or Motorcycle? At the law firm of Corsiglia McMahon & Allard, L.L.P., our skilled attorneys have a national reputation for their work in personal injury law. We understand the many ways in which cars interact with bicycles and motorcycles. When those interactions go wrong and a rider is injured or killed, we work to hold the responsible driver accountable for his or her actions. By seeking full and fair compensation for injured riders, we help make the roads safer for everyone. If you have been injured or if you have lost a loved one in a bike or motorcycle accident with a car, don’t hesitate to contact us at (408) 289-1417. We offer a free initial consultation. Many accidents involving car and bike interactions are caused by inattention. Drivers often repeat that they never saw the bike or that the cyclist came out of nowhere. These accidents are the result of negligent driving, and the injured cyclist deserves to be compensated for his or her injuries. Motorcyclists are more exposed and therefore more vulnerable to harm than automobile drivers. When a car changes lanes without signaling or attempts to enter a lane already occupied by a motorcycle, the rider is facing a significant risk of serious injury or death. Motorcycle and car interactions can be deadly. If you or a loved one has been injured in a collision or near collision with a car, you may be entitled to compensation. Contact a San Jose lawyer at Corsiglia McMahon & Allard, L.L.P. today to schedule a free initial consultation to discuss your situation; call (408) 289-1417.